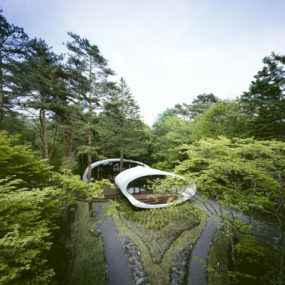 By way of ultra-modern, ultra compact housing, Japan’s Jo Nagasaka and Schemata Architecture has come up with a totally unique, unconventional, futuristic house design that really works! 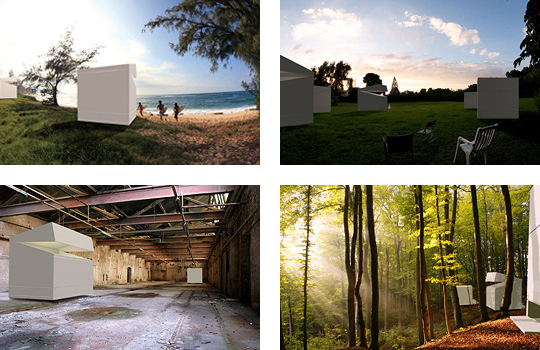 From the outside, the micro compact Paco House is a tiny cube, measuring three meters square. 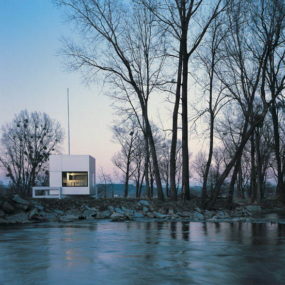 The contemporary prefab home boasts a minimal white facade devoid of details, yet it’s oddly intriguing. Designed with space efficiency in mind, Paco House was created with a minimal footprint – both physically and environmentally speaking – in order to blend into its environment with little impact to its surroundings. Because of its small dimensions, Paco doesn’t require an infrastructure. 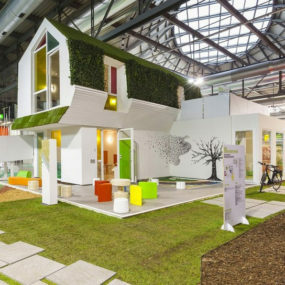 Eighty per cent of the home is manufactured in a plant, allowing for customization to the home and virtually endless possibilities for geographic placement. Paco House packs alternative energies into its small but oh-so-sweet design. This eco-friendly self-contained accommodation features solar and wind energy, water recycling and a biodegradable toilet. 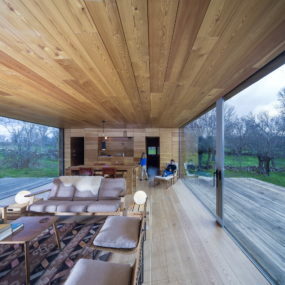 If you cannot resist a peek inside, the home’s innovative roof flips up to reveal a modern interior. The movable roof is achieved by hydraulic cylinders, allowing you to sleep under a roof or under the stars without ever leaving the comfort of Paco House. The interior of Paco House is illuminated using energy-efficient LED lighting. And when the lights go out, natural light floods the space via the skylight, made of two sheets of glass with air trapped in between to prevent condensation. Your sleeping quarters – consisting of a hammock – does not require any floor space, further maximizing the micro compact layout. The hammock is made of an innovative three-dimensional stereoscopic knit that maintains its elasticity and conforms to your body for a restful 40 winks. If you think a three-meter-square home might not have room for a shower, think again. The shower in Paco House is built into the overall design with a movable, sheer, waterproof partition wall that separates the spray from the living areas. 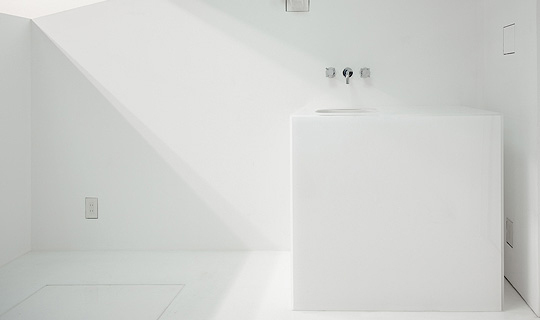 This space-saving shower also houses the toilet. 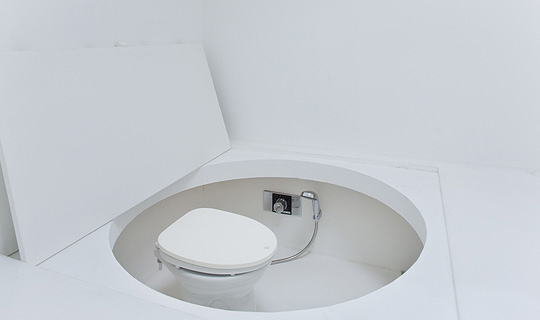 The inventive toilet is installed beneath the floor, so when it’s not in use, it is concealed and out of the way, opening up more room for livable space. 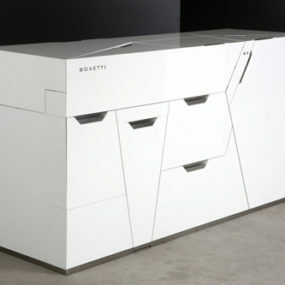 The home’s kitchen area is made of 10mm acrylic, and is attachable to the side door. Swing open the door and your kitchen is now your outdoor barbecue area. If you’ve ever tried fitting a dining table in a small space, you’ll know if not an easy task. 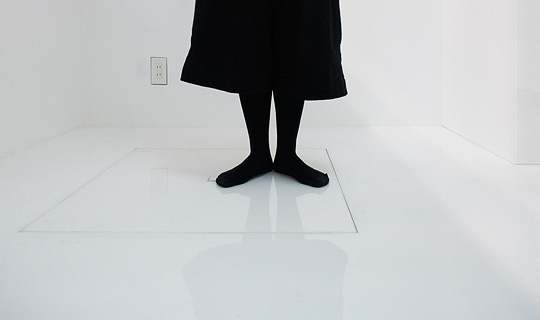 Paco House features a table that, when not in use, is concealed beneath the floor. When dinner time rolls around, the table can be lifted with a simple 90-degree turn of the handle. 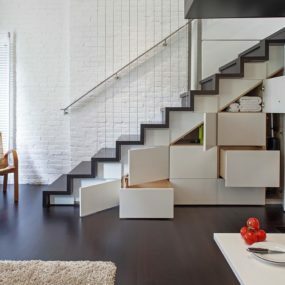 The unique use of under-floor space makes this modern house design work. 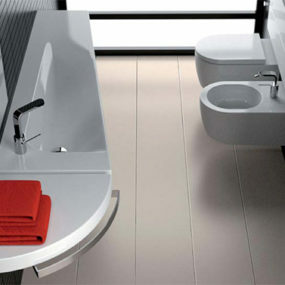 Apart from concealing the kitchen table and toilet, the floor also hides additional sleeping space and a storage area. And this wonderful, innovative floor itself is made of painted epoxy. 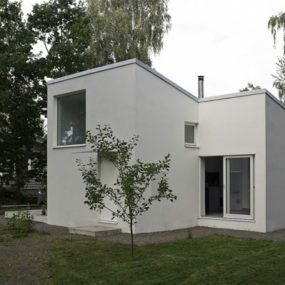 The Paco House is available in four basic plans. Plan A features the kitchen, shower, shower curtains, bathroom, epoxy painted floor and ceiling lighting at a total price of 6,300,000 yen. Plan B boasts a kitchen, epoxy painted floor and ceiling lighting at a price of 5,250,000 yen. 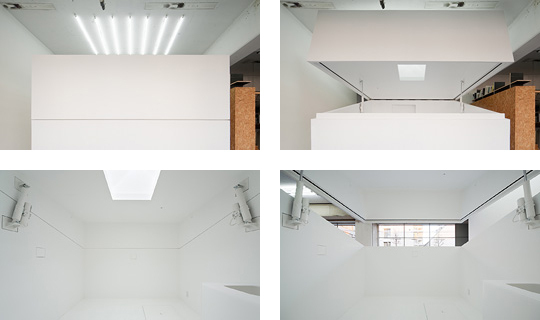 Plan C features the epoxy painted floor and ceiling lighting for 4,725,000 yen. 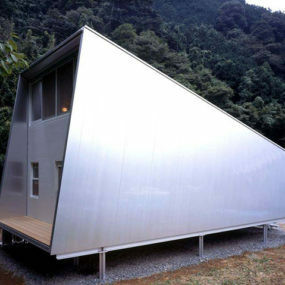 Plan D is the home’s basic shell, which you can customize to your needs and interests, selling for 4,200,000 yen.